Bali Batur Sari Restaurant is located at Jl.Penelokan Br Batuh Tgh, Kintamani where visitors can enjoy the magnificent view of Mount Batur and Lake Batur. 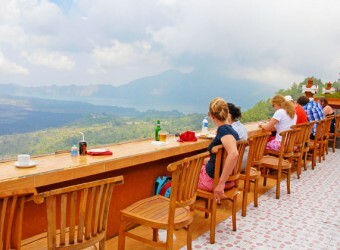 The restaurant is situated 1300m above sea level where we can enjoy the cool fresh air. The fog will descent in the afternoon, so the best time to enjoy lunch while viewing the spectacular scenery is at noon.